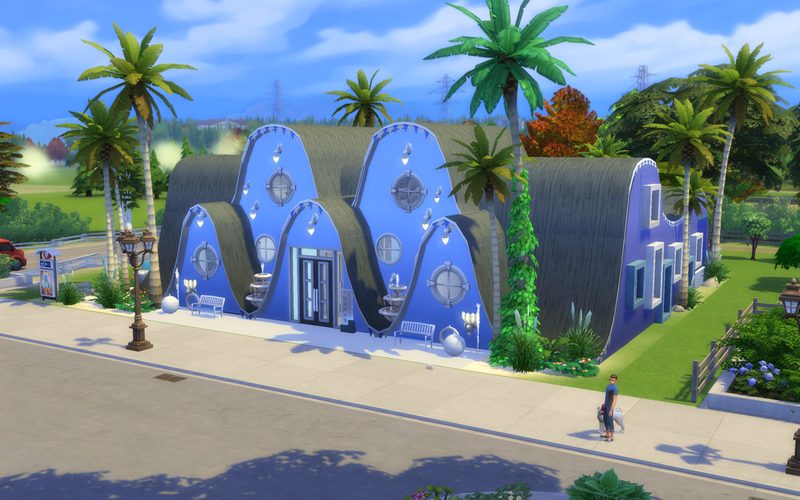 LOT NAME: The Old Salt House in San Myshuno - My lot name " Lil'Shakespeare Library "
ENTRY DETAILS: The lil'Shakespeare Library is more than just a place of learning.. Set in San Myshuno at the Old Salt House lot. The lil'Shakespeare Library is a triumph of urban renewal..Set in the Spice Market Neighborhood . It's A family neighborhood famous for its Spice Festival, Flea Market and dockland views. Knowing that Mr Gizinski was passionate about a unique way to learn and had so much love for children.. 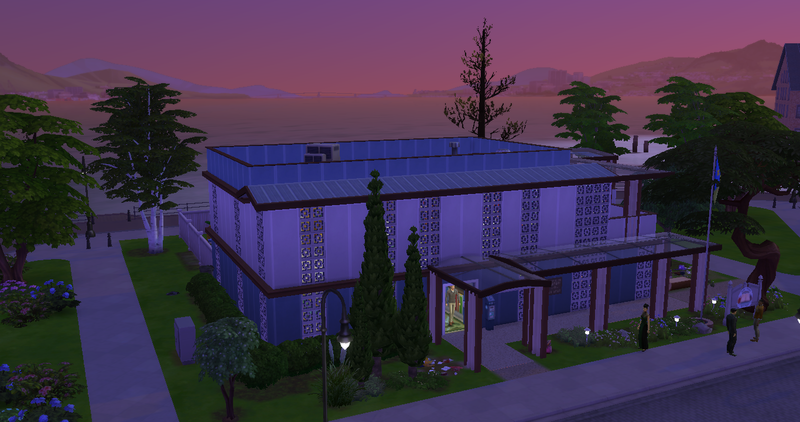 I went back in my mind to the Many wonderful Schools from Sims 3 which had very pleasing architectural aesthetics. 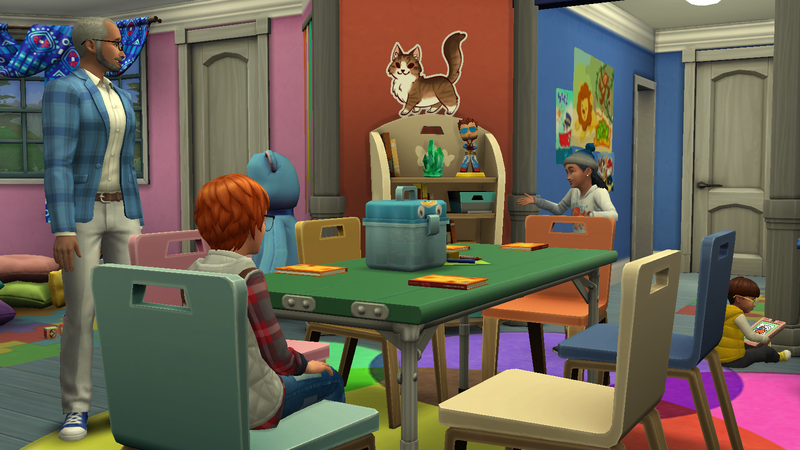 Such as the Sims 3 Aurora Skies ,- Nature & Nurture learning Academy ,The Tiny Protogy Learning Center and the newest Sims 4 LLama Land Library. 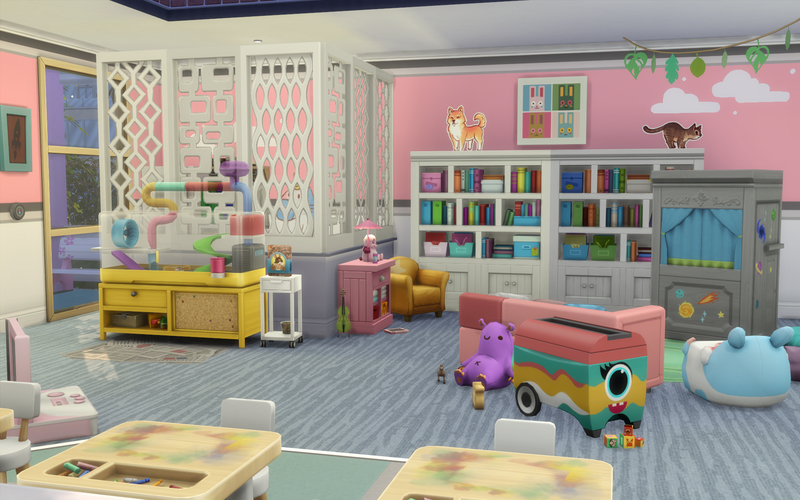 I tried to take aspects I felt he would appreciate from each one and combined them in to this - The Lil'Shakespeare library..
CREDIT FOR CC/RECOLORS: None - I used MOO, DEBUG and unlocksentitlements. At Gizinski's Recreational Educational Academy for Toddlers (GREAT for short), we pay great attention to all your kid's needs. We provide paramount care and education, build characters and social skills, and make sure your child is properly prepared for higher learning. By the age of six, they will be ready to face the world with a positive mindset. Enroll now, as there are limited openings. 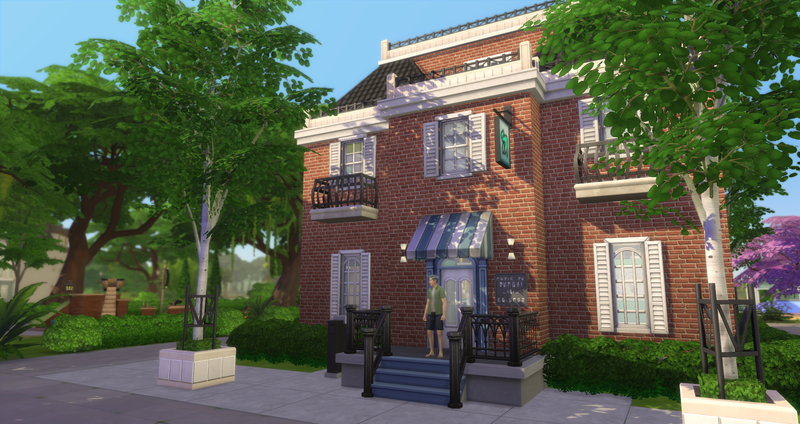 2 story, old brick house, refurbished to fit the needs and regulations for a daycare. Open spaces all over. Ground floor: The entire ground floor is open plan, wrapping around the stairs to the upper floor. Only the bathroom is totally closed off by floor to ceiling walls, the rest of the floor is open. Nap rooms are closed off with half walls. Ground floor includes: Entrance area. Wardrobe for the kids. Information board for the parents. Two nap rooms. Hallways. Bathroom. Kitchen and lunch room. Laundry nook. 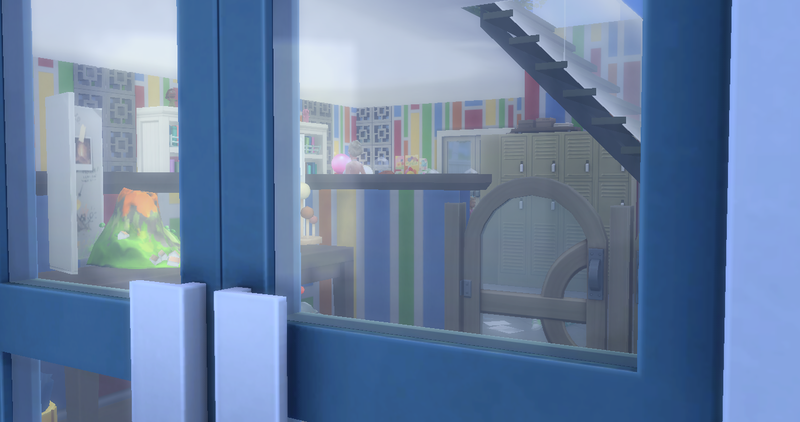 Back door hallway leading to the outside playground. Upstairs: Open space recreational and educational area. Gated off. The entire upper floor is totally open space, so Mr. Gizinski can watch all the kids, from any corner of the floor. Also there is an open view to the floor below, so even if he's up here, he can see the front door, the kitchen and other important areas of downstairs. Upper floor includes: Arts & Crafts area, Physical Educations area, Reading nook, Gaming area, Educational area, Pets, Play area. The playground includes swings, a slide, a sandpit, a hopscotch area and loads of toys, a small vegetable garden and seating area. 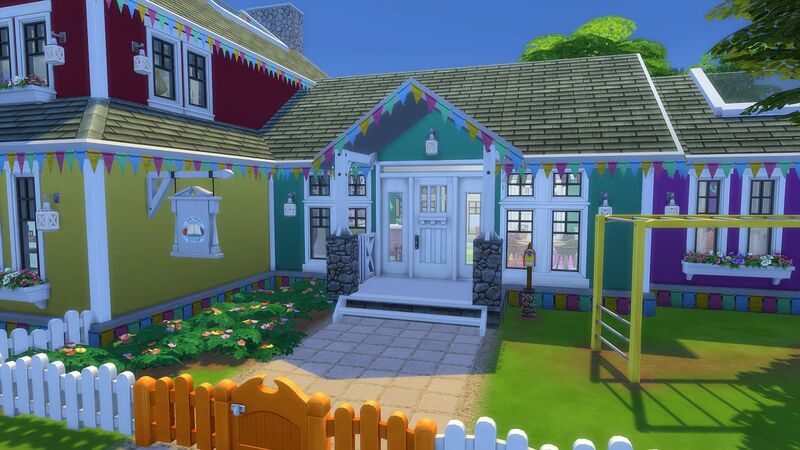 ENTRY DETAILS: A bright and colorful school ready to expand and inspire the minds of our youth. Traditional subjects are covered here but also Gardening to grow there own meals and learn about nutrition, Pets to teach the kids responsibility, Music and Dance to keep the kids active but in a fun way. LEVEL: I'm not sure. I'll leave that up to the judge's discretion. 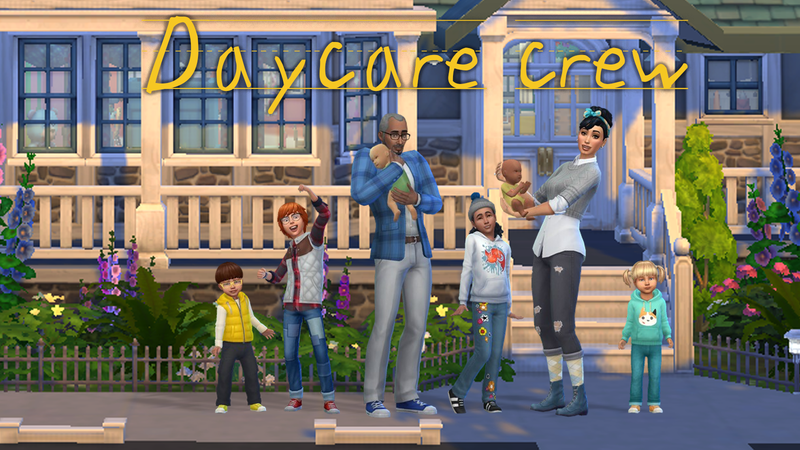 ENTRY DETAILS: As I already created a daycare before, I wanted to go a different direction with this one. 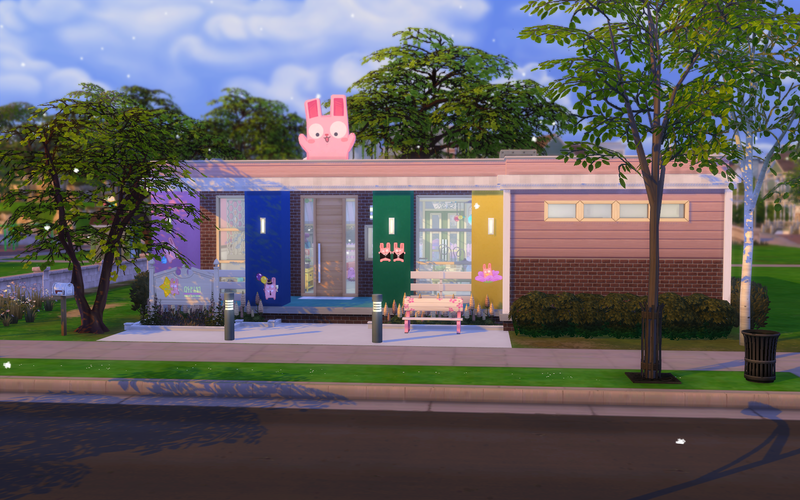 Inspired by freezer bunnies, I decided to make this entry focused on pastel colors. 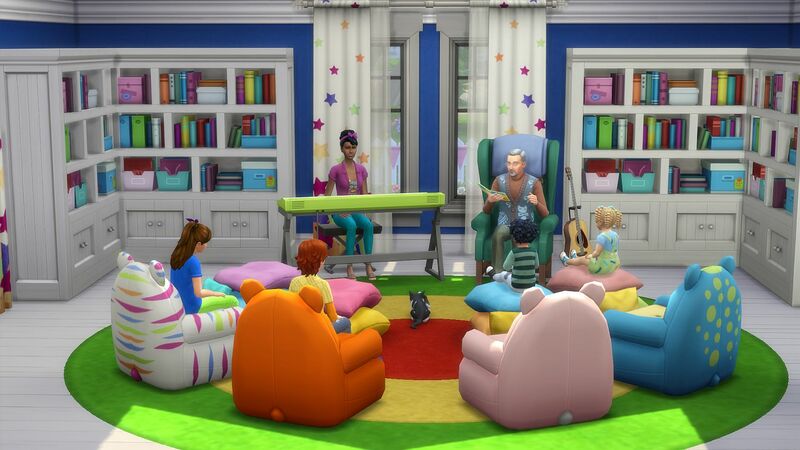 This daycare is for both toddler and child sims. 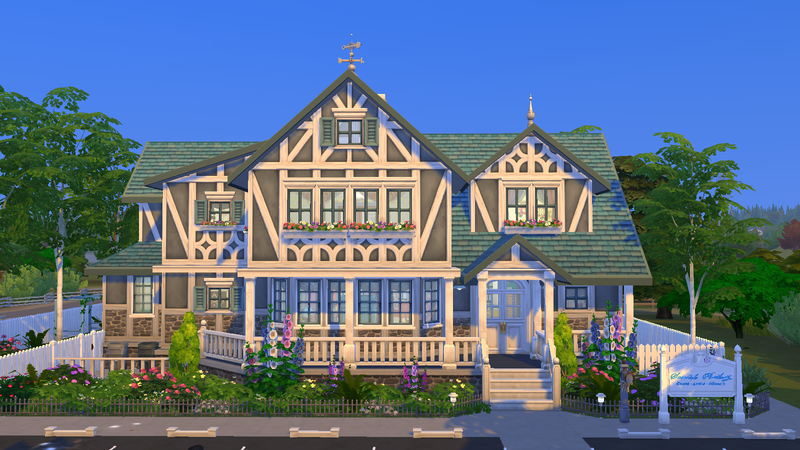 LINK TO ENTRY SLIDESHOW: B'n'S #110 YOUNG MINDS: "Storybook Daycare"
ENTRY DETAILS: We found this old Tudor style house and thought it would be great for an upgrade while keeping the old vibe from the latest daycare. I started the challenge too, but my game is very buggy at the moment and I can't do what I want. I made 4 shells and went over budget in then end. I had no energy to start a new one, so I just finished the last one. I hope you like it although it's not an official entry this time. 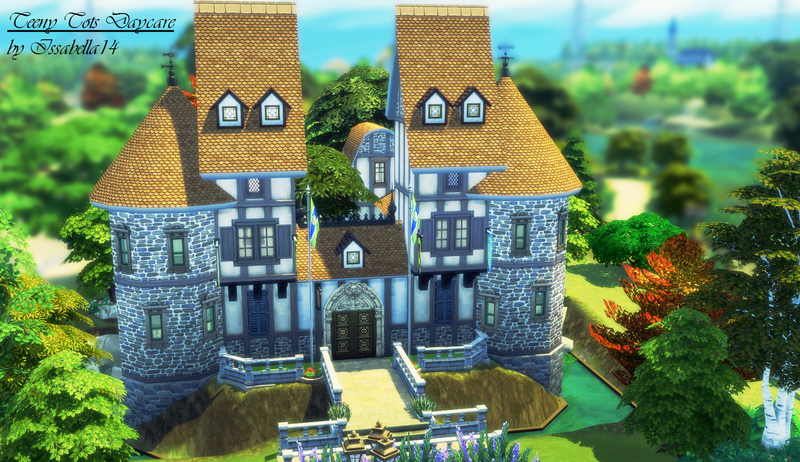 I enjoyed seeing all the Wonderful builds ! LINK TO ENTRY SLIDESHOW: B'n'S #110 YOUNG MINDS: "Daycare Crew"
ENTRY DETAILS: Darren and Lorna work in the Storybook Daycare. They take care of babies, toddlers and kids. 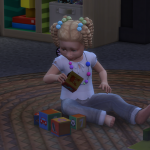 They love to see how the children play and learn with them, and they love seeing them grow up too, despite having to say them goodbye. Some of them still come to visit or call to keep contact. #BnS110 Young Minds is officially closed! You arrive at the marina with time to spare. Karl had told you that your meeting was with a businessman, but he wanted to meet you at the docks. You arrive at the slip number and moored in front of you is a somewhat derelict boat, held in place by a crane. You strain your eyes upward and see a woman on board cleaning the glass on a port hole, and a man gathering up some rope. "Ahoy there" calls the man, waving his hand over his head. He tells you to board the yacht via the gangplank from the pier. Once on-board, the man walks over to you and shakes your hand. His hands feel calloused and rough. As he smiles at you, you notice there are crinkles around his eyes and his face looks weather beaten. “Isn’t she a beaut?" he says, admiring the boat. You look around the boat nodding your head, but see planks missing from the main walkway and some seaweed dangling from a rigging. "Oh don't mind how she looks now...it's how she's going to look." You peer at him not quite understanding what he means and think that you might be the next swabbie. "Oh, sorry, name's John, Captain John Buttercups, and the little lady up there is my First Mate, Cordelia, and this boat used to be magnificent until she tangled with a hurricane off the coast. She sunk near some rocks, but we salvaged her and she's back. And that's where you come in." "It is?" you say, still not quite sure what the Captain is looking for. "Yes, I was hoping that you would take on the job of restoring her to her former glory." "Well, I am not in the habit of restoring boats, Captain..." you start to say. "But a boat is like a house, just on water. I know you can do it. And it's not like we want a cruise liner or anything" Captain says smiling broadly. "Well, that's true, you say. So, what exactly are you looking for?" You take out your pad and pen and start taking notes. "Well, the boat is completely gutted, so I would say 3 bedrooms, a master bedroom, a guest bedroom and the crew's quarters. We really want the master bedroom to be luxurious with our own en suite and balcony. The crew's quarters can be shared, but needs 2 single beds. And there should be another bathroom." "Anything else?" you ask jotting things down. "Well, of course, a galley kitchen...most definitely a chef's kitchen. And a grand living space with a bar and some entertainment. And Cordelia likes to read out on deck, so a good library and lots of deck chairs to relax and enjoy the ocean. Any other surprises would be welcome to help us relax and enjoy life. But that's about it." You look at the boat again and close your notebook as a seagull squawks overhead. “I think we can do this. So, I guess it's Anchors Aweigh!" Design a boat. Can be any type of boat from a yacht to a houseboat. Any lot size, any world, any style. 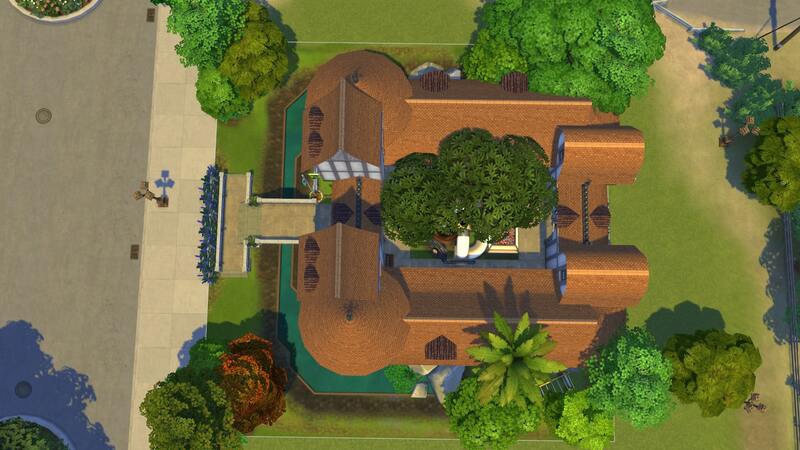 Can be multi-levels..
Must have 3 bedrooms. One master bedroom with a balcony and ensuite. A guest bedroom. Crew's quarters, can be a shared space, but must have 2 single beds. An extra bathroom. Living area with bar and entertainment. Library could be included here or in a separate space. Lots of deck chairs on deck. Must be on water or an "illusion" of water and docked at a pier with a walkway from the pier to the boat. Create Captain John Buttercups and Cordelia and show ways they enjoy the nautical lifestyle. You can make them any stage from Young Adult to Adult to Elder, but their attire and traits should be attuned to their boating ways. 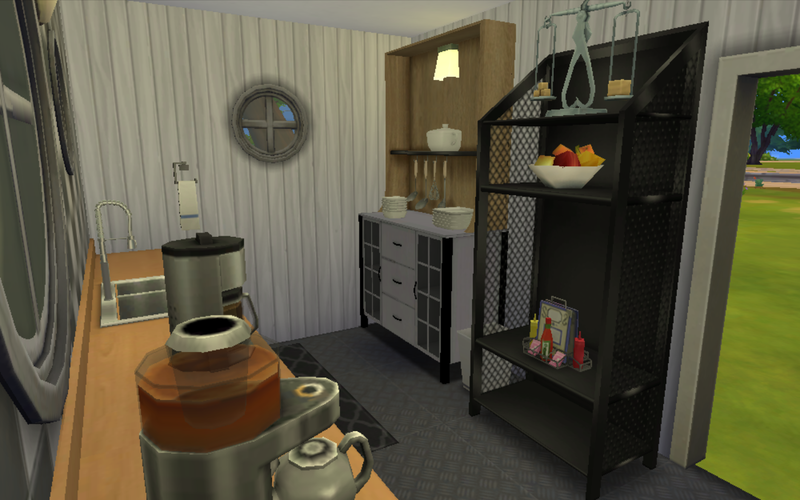 ENTRY DETAILS: "Nautica Home Chef Galley" - This room is a 'home chef' grade kitchen, a step below the industrial standard, but extremely comforting for a food-loving sim to have everything within reach. 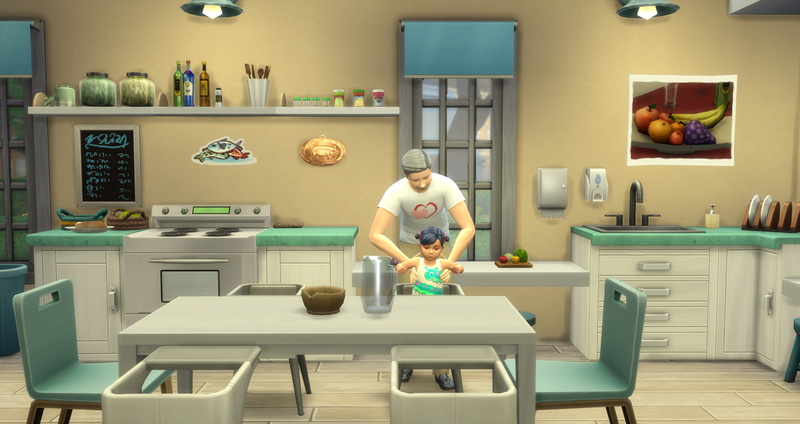 I made it as a kitchen-only, with no dining space, as no professional kitchen has a space where you should eat (though who doesn't take a chip every now and then). 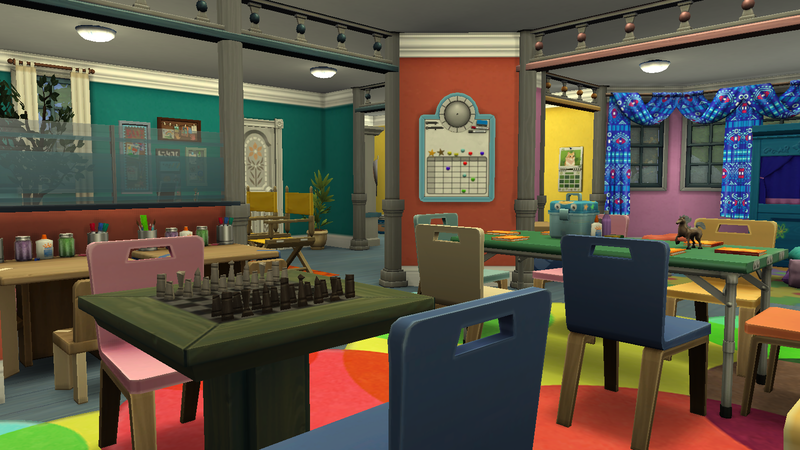 CREDIT FOR CC/RECOLORS: (MOO used) @Severinka (ECO kitchen set), @ShinokKCRS4 (Delight kitchen set, and Liz dining set decor), @SIMcredible (Industrial kitchen set), and @ArtVitalex (Brooklyn bedroom set). 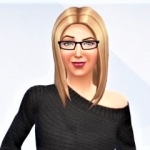 Thanks so much to the creators! 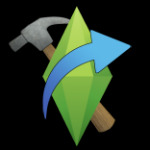 @SmallAurelius if no one has shown you step-by-step and reposted you post with the gallery link by the time I get home, I will show you and add the link. When is this due? and what Build n Share is this ?- I am getting conflicting titles.. Is it Build n Share 111 or #BnS112 ? #BnS110 is closed. 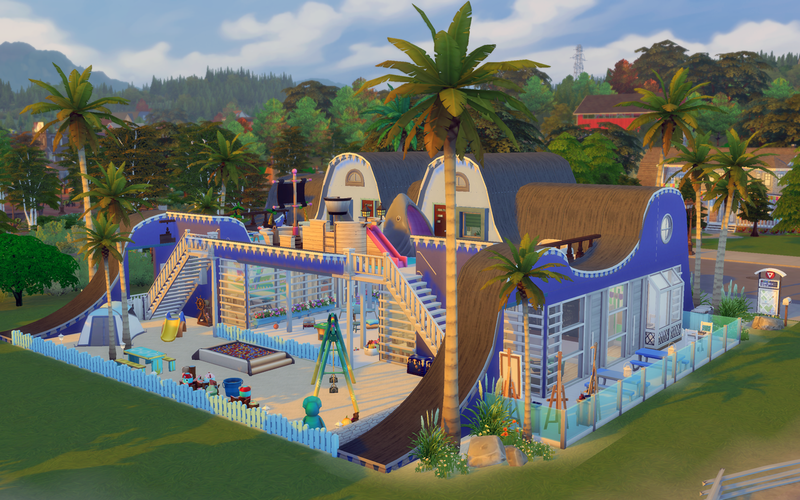 This is the room entry for the new challenge, with the nautical theme. It will end on 23rd. This is #BnS111, the banner is incorrect and it is due by January 23rd. Housten, we have a problem. 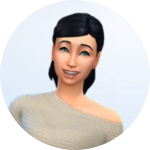 There's CC in the room and I didn't realise that it doesn't show up in the out-of-game gallery... that seems like a pickle. Any advice for this, anyone? 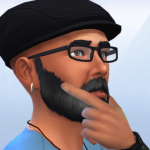 @SmallAurelius your lot is not visible to me in game or online galleries and have cc and script mods enabled so I should be able to see it from my in-game gallery due to settings but the item is not visible. I see from my in-game gallery when I view your page that you have 7 items but only 6 are visible to me. 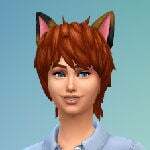 My settings are to allow mods and allow reported items so why the gallery is hiding the galley is a bit weird indeed. Hopefully somebody else will chime in. 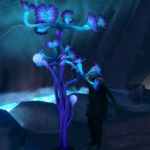 It shows up for me in the in-game gallery. 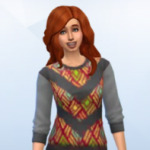 @JojoMOMSTER Did you remember to check the "Include Custom Content" on your Gallery options? Gallery's probably messed up again. It's not even letting me search. Okay so the old close and reopen trick worked. It's showing @JojoMOMSTER's last build to be Patio Lanterns Wedding.